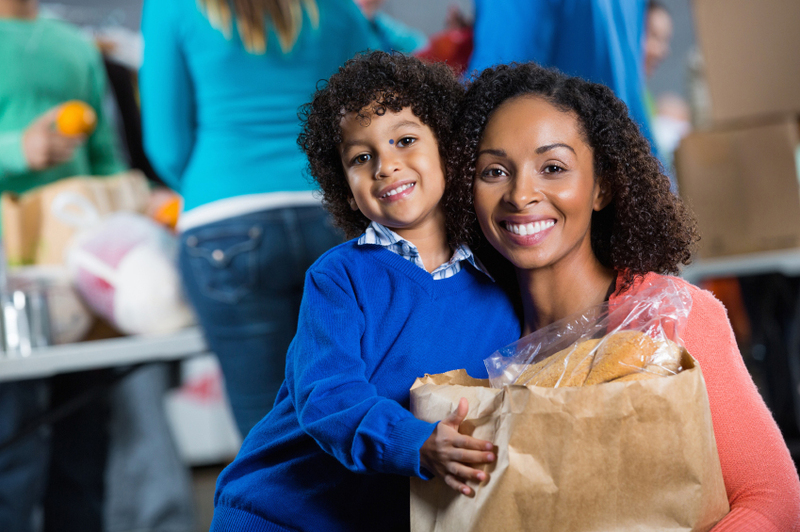 Catholic Charities runs several types of food programs based at four of its sites the Thrift Center in Wilmington, the Kent County Office in Dover, Casa San Francisco in Milford, and Seton Center in Princess Anne. The Food Cooperative program helps families and individuals stretch their limited incomes by providing a supplemental bag of groceries monthly. With the help of the Food Bank of Delaware and the Maryland Food Bank, club members receive nutritious, meal-ready products for a fraction of retail value. Members also receive educational materials, recipes, and shopping tips. Food cooperatives are located at the Thrift Center, Kent County Office, Casa San Francisco, and Seton Center. Emergency food pantries are located at Casa San Francisco and Seton Center. Staffed by volunteers and stocked with donated food and USDA commodities, the pantry provides 3-4 days of food for persons who are in crisis and cannot buy food. Call the closest office to you to schedule an appointment. Click here to send an email for information about our Food Assistance programs. Click here for a list of documents you must bring to your first appointment. Click here to download and print an application to complete and bring to your first appointment. The food cooperatives and food pantries welcome volunteers of all ages. Volunteers bag groceries for distribution, and stock the shelves with donated goods. Call the location you want to help to see what current opportunities are available. Volunteers must apply and be interviewed prior to begin work. Make a donation of food. Each location has the ability to store perishable and non-perishable food items. When your supermarket is having a “Buy one, get one free” sale, donate that free item to Catholic Charities. Please call ahead to make arrangements if you plan to donate perishable items such as produce or frozen meat. Organize a food drive. Ask your family, neighbors, church, or civic group to donate nonperishable and shelf-stable food items. Click here to donate to our food distribution efforts using a credit card. You may also send a check to Catholic Charities, 2601 W 4th Street, Wilmington, DE 19805, and designate Food Distribution on the check.